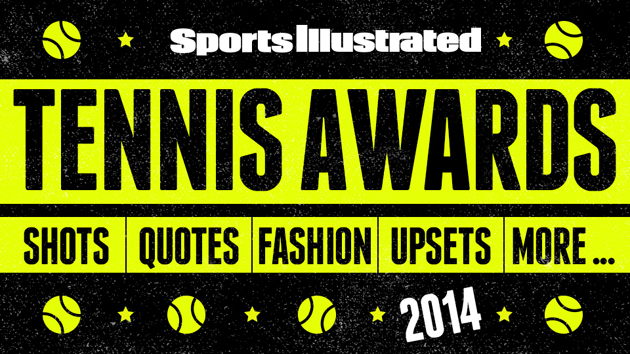 Any year that includes a Slam title and a firm grasp on the No. 1 ranking from first ball to last constitutes a great year. 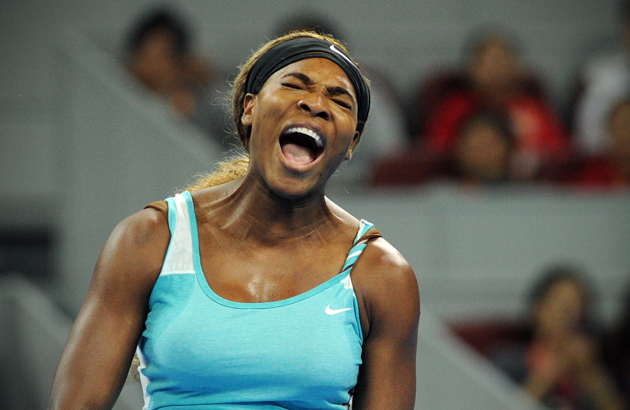 But it's also impossible to ignore the more quizzical moments of Serena's 2014 season. She finished the year with seven overall titles including her 18th major title, but unlike her 2013 season, she suffered a series of shock losses. She was ousted from the first three Slams of the year by Ana Ivanovic, Garbine Muguruza and Alize Cornet. There was also that loss to Jana Cepelova at the Family Circle Cup in Charleston. And then there was the head-scratching doubles retirement at Wimbledon that seemed to turn her entire season around. No run to a major title was more impressive than Sharapova's gritty grind to her second French Open title. After a shoulder injury ended her 2013 season, she fell as low as No. 9 in the spring and then found her best form again on the dirt. In Paris, she came back from the brink against Sam Stosur in the fourth round (3-6, 6-4, 6-0), Garbine Muguruza in the quarterfinals (1-6, 7-5, 6-1), and Eugenie Bouchard in the semifinals (4-6, 7-5, 6-2), and then played her best match of the year to beat Simona Halep (6-4, 6-7 (5), 6-4) in the best major final of the year. She finished the season back up at No. 2, within shouting distance of the No. 1 ranking. The titles were fewer but the milestones more significant for the Romanian. She finished the year with just two titles compared to the six she won last year, but she made her first Slam final at the French Open, followed it up with a Wimbledon semifinal, and capped off the season by making her first WTA Finals final (please, ATP and WTA, rethink this nomenclature) in her tournament debut. No single match Slam performance was as jaw-dropping as Kvitova's at Wimbledon, where she beat Bouchard 6-3, 6-0 in 55 minutes. She started the year losing to Tsvetana Pironkova and Luksika Kumkhum in Australia. She finished the season with her second Wimbledon title and third Fed Cup title for the Czechs. She did it. In her third Australian Open final, Li finally won the major she had been chasing, beating Dominika Cibulkova in the final to notch her second major title. Nine months later, in a year she rose to a career-high No. 2, hung up her racket and announced her retirement in September due to ongoing knee injuries. Tennis will miss her. In one of the weirder stats of the season: the Frenchwoman went 3-0 against Serena, with wins in Dubai, Wimbledon and then via retirement in Wuhan. All that and she finished in the Top 20 for the first time since 2008. What would Cibulkova's season looked like if not for Li. She beat Sharapova, Halep and Agnieszka Radwanska to make her first Slam final at the Australian Open where she lost to Li. She won Acapulco a month later and then lost to Li in the quarterfinals of Indian Wells and semifinals in Miami. After losing to Donna Vekic in the Kuala Lumpur final in April, Cibulkova would make just one quarterfinal for the rest of the year. She still finished at a career-best No. 10 thanks to Li's retirement. She couldn't deliver at the majors (though who knows what happens if she beats Kvitova at Wimbledon) but Venus continues to prove she still has some great tennis in her. She won her biggest title in four years, not losing a set to win Dubai. She also made three additional finals in Auckland (l. Ivanovic), Montreal (l. Radwanska), and Quebec City (l. Lucic-Baroni). Oh, and she notched her first win over her sister in five years and finished the season ranked inside the Top 20 for the first time since 2010. No one saw the 20-year-old's solid season coming. She began the year at No. 32 and climbed all the way up to a career-high No. 5 after becoming the only player this season, man or woman, to make the semifinals or better at the first three Slams, including her first Slam final at Wimbledon. She also won her first WTA title. Her lack of consistency outside the majors remained an issue, but given the massive highs of the year how can you fault her? This was one of the better years of Fed Cup, with the Czech Republic and Germany fielding their best teams to go head-to-head in the most highly-anticipated final in years. The Czechs would sweep the German squad, but not without a gritty performance from Kvitova to seal the tie in a 7-6(5), 4-6, 6-4 win over Angelique Kerber in front of 13,000 rowdy fans in Prague. 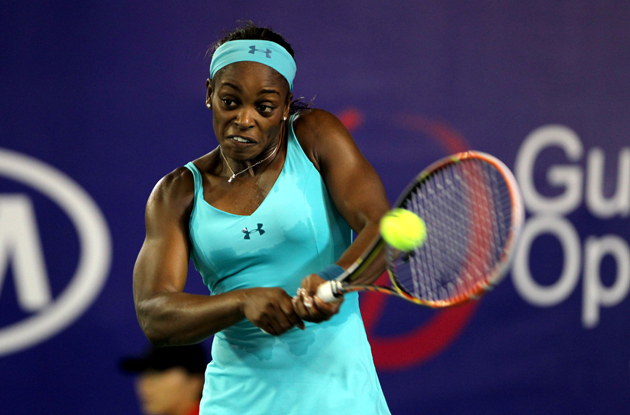 While Bouchard's star rose, Stephens' fell. She went from No. 11 at the start of the season to No. 36 at the end. Her streak of six-straight second-week Slam runs was snapped in the first round at Wimbledon. Under the tutelage of two high-profile coaches in Paul Annacone and Thomas Hogstedt, she made just two quarterfinals all season and finished the year with an injury. She'll go into the 2015 season as the No. 5 American behind Serena, Venus, Keys and Varvara Lepchenko, and just three spots ahead of CoCo Vandeweghe. The slow and steady improvement continues for Keys, who has long enjoyed all the benefits of being a highly-touted prospect without the spotlight and pressure. The 19-year-old won her first career title in Eastbourne with a run that made you believe that a Wimbledon title would be in her reach at some point in her career. She also made two more semifinals in Sydney and Strasbourg and finished the year as the No. 3 American behind Serena and Venus at No. 30. There were bouts of mental fragility throughout the year, but this was still another step forward. The 17-year-old jumped 179 spots in the rankings to end at No. 32 in a season that saw her make her first Slam quarterfinal at the U.S. Open and her first WTA final in Tianjin. Watching her work her way through qualifying week after week in the first half of the season was impressive stuff. The hype is real. Petkovic scored her first top 15 finish since her breakout 2011 season after making her first Slam semifinal at the French Open (l. Halep) and winning three titles in Charleston, Bad Gastein, and Sofia. Not bad for a player who lost in French Open qualifying last year. It would have been a shame if the Czech's year was known only for that narrowly-missed match point against Li in the third round of the Australian Open. But after spending much of the season as the WTA's "almost" girl -- she was in winning positions against Li, Halep, Sharapova and Kvitova and lost -- Safarova put together the best season of her career. She made her first Slam semifinal at Wimbledon, losing to her Fed Cup teammate Kvitova, and then paired up with Kvitova to win the Czechs yet another Fed Cup. She finished the season at No. 16. The WTA's resident shot-maker finished the season at No. 6 but it was another solid but disappointing year for Radwanska, who really lost her way at the Slams. She looked primed to take advantage of a busted draw in Melbourne after her artistic 6-1, 5-7, 6-0 dismantling of Azarenka in the quarterfinals, only to win three games against Cibulkova in the semifinals. She made the Indian Wells final and, again, won just three games due to injury. Somehow she got bageled by Ekaterina Makarova at Wimbledon and then took a second round loss to Peng Shuai at the U.S. Open. Her season was effectively redeemed by winning Montreal and advancing to the semifinals of the WTA Finals. A forgettable first five months of the season that saw her nearly fall out of the top 20, ended with her very public breakup with Rory McIlroy just as the French Open was set to begin. She lost in the first round and put on a brave face for the press. Then she regrouped, channeled everything into her tennis and played with a chip on her shoulder for the rest of the season. It worked. The Dane, criticized throughout her career for being too defensive, amped up her game to play some of the best tennis of her career. She went 34-10 to close out the season, making her second Slam final at the U.S. Open and first since 2009 and finished back in the top ten. 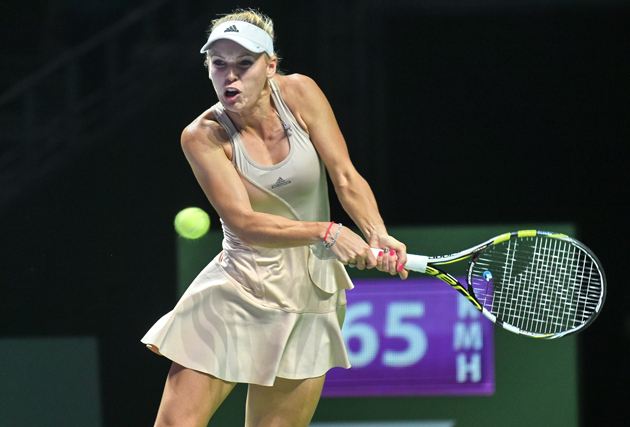 After capping off the season with a memorable performance at the WTA FInals, she ended the season as one off the big names to watch in 2015. The punchline became the puncher in 2014, where the only critique on a season that saw her finish in the top five for the first time since 2008 was her poor performance at the majors. There was the big win over Serena to start the season at the Australian Open, but the she lost easily to Bouchard in the quarterfinals, to Safarova in the third round of the French Open, Lisicki in the third round of Wimbledon and Karolina Pliskova in the second round of the U.S. Open. But the consistency throughout the season, which saw her win four titles -- the most for her in any single season -- and the most matches on tour (58), put Ivanovic back in the conversation. When it comes to great years that no one talked about, no one had a better one than the Czech. The 22-year-old won two titles in Seoul and Linz and shot up 43 spots in the ranking to end at a career-high No. 23. She's going to be seeded at the Australian Open. An ankle injury ended her season after Wimbledon last year and she rebounded from ankle surgery to win her first title in Hobart to start the season (she won as a qualifier and didn't lose a set) and then proceeded to build throughout the season. Her biggest win came at the French Open, where she handed Serena her heaviest loss at a Slam ever, winning 6-2, 6-2, en route to her first major quarterfinal. In all, she made nine quarterfinals or better this season to finish at No. 20. The game missed Azarenka. Sidelined with a foot injury for nearly the entire first half of the year, Azarenka did not return in earnest until the grass season. Her trademark vibrancy and competitive instincts were already firing on all cylinders and even without anything near her best form, she made the quarterfinals round of the U.S. Open. But she ended the season ranked No. 31 and the two-time major champ is in the midst of a tough comeback. The U.S. women continue to set themselves apart from the dire straits on the men's side, both with the continued performance of its superstars and the display of reliable depth. In all, there are 12 Americans in the top 100, with seven of them in the top 50. Sure, Serena and Venus delivered once again and the American B-squad saw a shift with Keys outperforming Stephens, but there were storylines galore all year with some of the less known players. Vandeweghe jumped 70 spots in the rankings and won her first title the same week Keys did in s'Hertogenbosch. Shelby Rogers put herself in the running for WTA Newcomer of the Year, where she made her first WTA final (Bad Gastein) and handed Bouchard her most embarrassing loss of the year in Montreal. A fiery 15-year-old CiCi Bellis played with incredible poise to knock off Australian Open finalist Cibulkova at the U.S. Open. Taylor Townsend got into the French Open main draw by winning the USTA wildcard playoff, then electrified Paris by upsetting Cornet on Court Philippe Chatrier to make the third round. And Alison Riske won her first WTA title in Tianjin while Varvara Lepchenko showed some marked improvement to finish the year at No. 35. The U.S. Open darling Bellis, 16-year-old Ana Konjuh (the youngest player in the top 100), 17-year-old Bencic (U.S. Open quarterfinals), 18-year-old Taylor Townsend (third round of the French Open) and 19-year-old Keys (highest-ranked teenager) all gave us a lot to be excited about for the WTA's future. They went 0-4 at the Slams. Nice try, noobs (Cibulkova, Halep, Bouchard, and Wozniacki) but experience (Li, Sharapova, Kvitova, and Serena) won out. 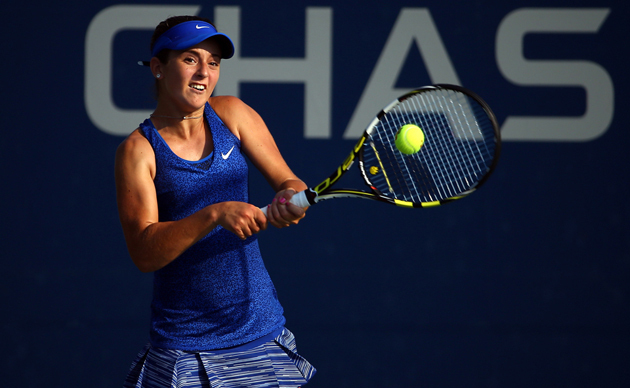 Laura Robson, Jamie Hampton: Attendance needs improvement. Sidelined by injury, their games and personalities were missed.